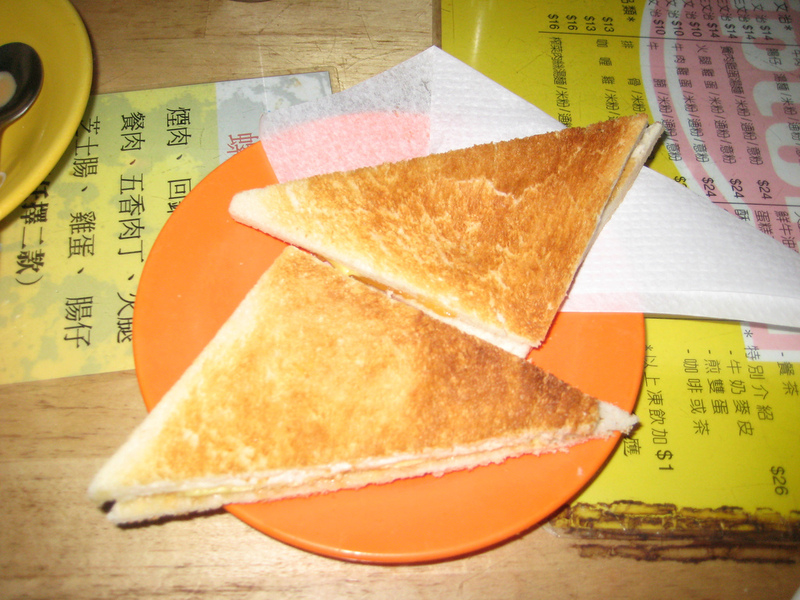 When I went to Hong Kong a couple years ago, my friend took me to an American equivalent of a coffee shop and ordered me a big cup of hot milk tea and kaya toast sandwich. Kaya (or Sri Kaya) jam is a Malaysian coconut egg jam that’s made from coconut milk, duck or chicken eggs that’s flavored with pandan leaf and sweetened with sugar. Let me describe this sandwich to you. Between 2 pieces of thin crispy toast is a layer of the sweet creamy kaya jam. On top of that lies 1mm slabs of cold butter. Yes, butter. I couldn’t believe I was about to eat a butter sandwich, but wow… this was to die for… literally! You can find kaya jam at any Asian market (one near me is 99 Ranch Market) or you can make it yourself here. Restaurants where I had the kaya sandwich. Can’t remember the name though.